Oil and gas issues including abandoned wells and health study of fracking regions. So what did WVEC get in the way of good legislation from the Republican controlled state legislature in 2019? Not much, frankly. Enhancement to water quality standards (lowered pollution limits) got a good start early in the session, but then got weakened in the face of intense industry lobbying- with the WV Manufacturer’s Association (WVMA) apparently successfully arguing before a joint House-Senate Rules Committee that because West Virginians are physically heavier (fatter) and drink less water than people in other states, our bodies can tolerate higher levels of cancer-causing chemicals. Yes, our lobby team leader witnessed this obviously non-scientific suggestion by the Manufacturer’s Association during a legislative committee hearing. The state of West Virginia is required by U.S. EPA regulations to conduct water quality assessments and re-designate pollution limits for designated pollutants every 3 years. This is related to West Virginia having chosen to retain “primacy”- setting its own water quality standards rather than have the U.S. EPA impose standards that may be more stringent than West Virginia industries that discharge waste products into streams would like. This required water quality re-assessment every 3 years is called a Triennial Review. Supposedly the WV Department of Environmental Protection (DEP) makes scientifically sound recommendations to the WV legislature for renewal of water quality standards. But in actual practice we who have witnessed numerous legislative hearings on water quality and human health standards have seen DEP scientific recommendations summarily dismissed by legislators in deference to industry- especially in deference to the WV Manufacturers Association lobbyists. So now the industry has been successful in essentially extending the current triennial review another 2 years. SB 163 sets out a timeline of next steps that first involves WVDEP collecting new information from stakeholders between now and October 2019. We expect they will hold 1-2 public meetings in the coming months. Then, based on that input WVDEP will put out a new proposed rule revision in April 2020 for public review and comment. From there, a final rule will be filed in July 2020, the Legislative Rule-Making Review committee will consider it in Fall 2020, and finally it will be back again in front of the full Legislature for debate and passage in the 2021 regular session. Lots of work ahead! Perhaps WVEC’s biggest disappointment was that Senate Bill 409, which would have amended West Virginia utility law to allow residential scale Power Purchase Agreements (PPAs) between a retail electricity customer and the owner of a small scale renewable or alternative energy resource facility located on the premises of a retail electric customer, died in the Senate’s Energy, Industry & Mining committee. PPAs are Power Purchase Agreements- contracts which assure that a market exists for those kilowatt hours of electricity generated by the solar panels, wind turbines, coal fired steam turbines, or other electricity generating mechanisms. Such contract agreements are necessary to allow the financiers of electricity generating facilities to know that willing buyer-seller agreements from which to market the electricity produced are in place. Under existing WV law, only licensed utility companies can sell electricity on a retail level- to a consumer of electricity. This means that electricity sold at retail (directly to consumers) in WV is sold by subsidiaries of either American Electric Power Co. or of First Energy Corp. Currently Power Purchase Agreement contracts are exclusively wholesale level power sales contracts between electricity producers (for example owners of steam generated power plants like First Energy Corp. and their subsidiary retail marketers such as Monongahela Power Co.) PPA contracts are also used by, for example, the owner of a wind energy facility (such as Invenergy Corp., the owner of the Beech Ridge Wind Farm in Greenbrier County) that generates electricity for the wholesale electricity market and a public utility electricity retailer such as Appalachian Power Co. or Monongahela Power Co.
Retail level PPAs are not allowed in West Virginia. I cannot contract a Power Purchase Agreement (PPA) with XYZ Solar Co. to put solar panels on the roof of my home and then sell to me the electricity thereby generated. Why not? Because XYZ Solar Co. is not a designated public utility that is set up to serve all customers in a designated service area. The effort toward allowing retail level PPA contracts this legislative session related mostly to rooftop solar panel installations on residential structures such as a home or an apartment building. This would be a revolutionary approach to how electricity is produced, distributed and marketed. The big utility companies currently display no interest in furnishing their customers rooftop generated electricity. And so the existing electric utility companies fight against legislation to allow contracts (Power Purchase Agreements) between consumers and rooftop solar panel leasing companies. Why is this important to WVEC and its organizational members? It is important because small scale (sized to provide electricity to individual households, for example) renewable energy resources such as solar panels would reduce the market demand for fossil fuel fired electricity. This would reduce the amounts of coal or other steam produced electricity fuels that would need to be mined, transported and burned. This would, in turn, reduce the local miseries caused by mining coal and of drilling and fracking for natural gas, as well as allow an overall reduction of the harmful effects of burning fossil fuels on regional and worldwide climate. Less fossil fuel combustion equals less both local disruptions and worldwide pollution. Re: clean elections: several bills to decrease electoral corruption did not make it out of legislative committees. Summaries of SB 115 SB 118 & HB 2445 –SB 236 –SB 276 –SB 429 –SB 438 –SB 491 –HB 2008 & SB 108 can be seen here These bills were sponsored by West Virginians for Clean Elections- which is allied with WVEC. But ironically Senate Bill 622, a bill to increase by several fold the amounts of money that can legally be contributed to or by Political Action Committees or directly to candidates’ campaigns passed both houses of the legislature with flying colors. Some of us think that under existing law public elections are absolutely corrupted by campaign contributions and quid pro quo expectations by office holders and their campaign contributors. But obviously the WV legislature thinks that the cure for campaign money and corruption is to simply increase the amount of campaign money allowed into political campaigns. Sometimes the best legislative victory comes about because an expected bill was never introduced. For example, an anticipated bill to allow commercial logging in WV State Parks never got introduced this year. Word around town is that the governor did not want a repeat of the gigantic public clamor against a bill that would have allowed logging in State Parks as occurred last year. Opposition to that bill generated in excess of 20,000 comments of opposition in 2018. Not only were severance taxes on coal, gas and oil not increased in support of the WV Future Fund, the legislature actually decreased the severance tax rate on steam coal (used mostly to generate electricity) by forty percent. Despite some successes, most of the bills introduced to address the issue of unplugged oil and natural gas wells across West Virginia did not cross the finish line during the state’s 2019 legislative session. One such bill appeared poised to pass in both houses but fell through during the last night of the session. This was Senate Bill 665 which had the goal of allowing expedited permitting on natural gas wells in exchange for a higher well permit fee. If passed, the extra money would’ve been used to hire more Division of Environmental Protection staff to speed up the process and go to actually plugging abandoned wells. Another bill that failed to pass was House Bill 2779, which would have placed proceeds from severed oil and natural gas interests into a special fund for well plugging. But this would’ve only applied in cases where the royalty owners could not be located. One bill that did make it through the legislature was House Bill 2673, also known as the IOGA tax bill. This legislation lowers the severance tax rate on natural gas from five percent to 2.5 percent. However, the money from these taxes is to be devoted to sealing uncapped wells. Estimates are that this would plug somewhere between 40-123 wells a year- “just a small dent in the grand scale of abandoned wells, but at least something”, according to the WV Surface Owners Rights Association (SORO) . But for whatever reasons this bill was vetoed by the governor. 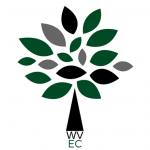 WVEC is continually assessing and re-assessing its lobbying priorities and strategies to gauge what might be both environmentally sound and politically doable. The history of West Virginia is that political manipulations by industrial interests outpace sound environmental policies almost every time. But we keep trying because just giving up and throwing in the towel is not palatable to our psyches.